A recent study published in the journal of Agricultural and Food Chemistry suggests that plum vinegar extract of cherry blossom is rich source of caffeic acid and other phenolic antioxidants. The addition of plum vinegar extraxt of cherry blossom to food may impart health benefits by strengthening body’s ability to protect against oxidative damage by reactive oxygen species. In Japan, weddings are a popular time to drink cherry blossom tea due to the auspicious meaning of a new beginning. 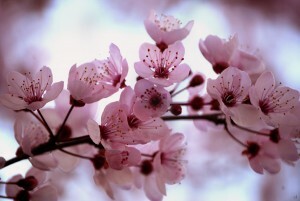 From the end of March to early May,cherry blossom “SAKURA” bloom all over Japan. Thousands of people fill the park to hold feasts under the flowering trees,and sometimes these parties go on until late at night. This celebrations “HANAMI“(japanese traditional custom of enjoying the beauty of flowers) usually involve eating,singing,listening music. It’s common for Sake to be drunk as part of the festivity.